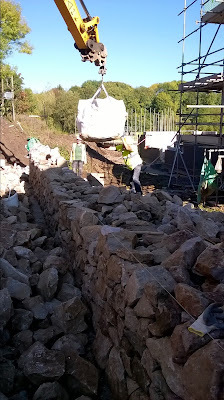 Building walls on a new housing estate, a really different working environment! 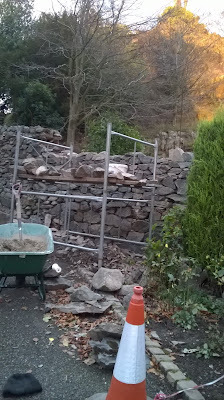 Rebuilding a very tall (7ft) granite wall at an Abbey in Leicestershire, had to use tower scaffold to reach the top! 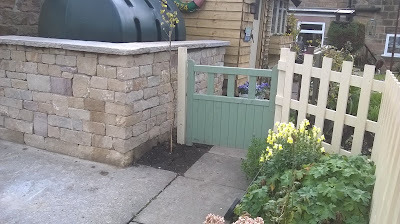 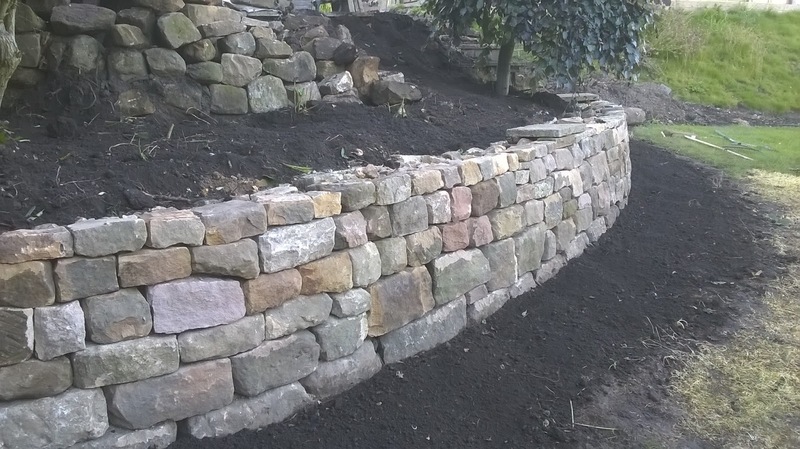 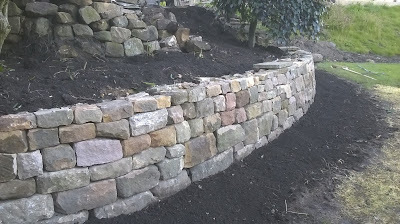 A lovely curved wall made with local sandstone...curves are always a little more challenging, but this one looks great!